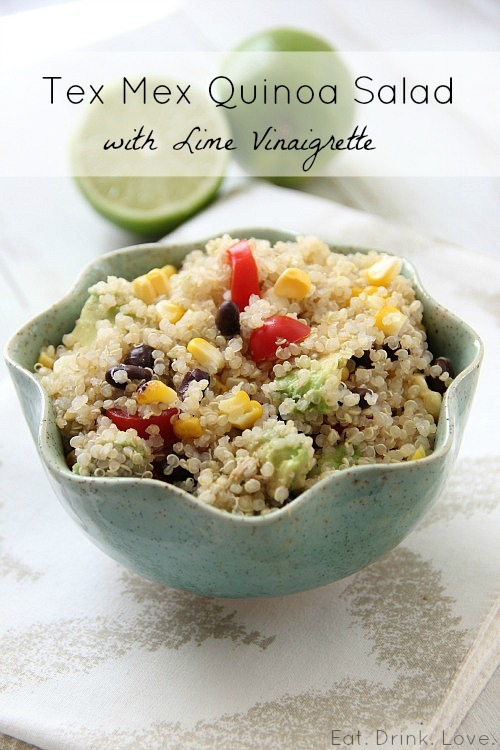 Tex Mex Quinoa Salad with Lime Vinaigrette - Eat. Drink. Love. 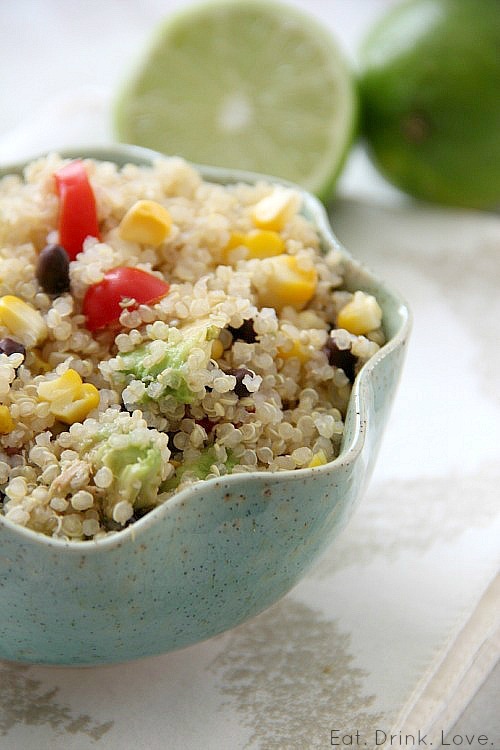 Let’s talk about quinoa today. I love it and probably don’t share nearly enough recipes with it on my blog. The thing is, whenever I eat too much of something, I get really sick of it and then don’t make it for a while which I think is what has happened with me and quinoa. Don’t worry, we are working on getting our relationship back to what it was. Quinoa is such a versatile ingredient. 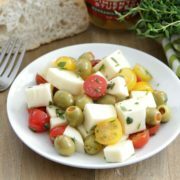 It’s a great sub for rice, but I have also used it in baking, and it’s even better in a salad! You guys already know how much I love all things Mexican, tex-mex, southwestern (whatever you want to call it!)! I have been really obsessed with black beans lately. I just can’t get enough of them and I want to put them in everything! 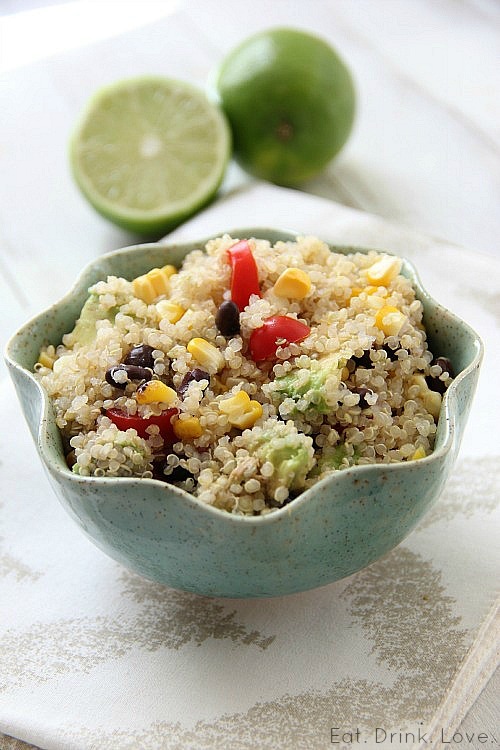 This tex-mex quinoa salad is perfectly light, but it still going to fill you up. 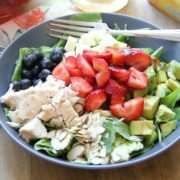 I tossed in some of my favorite ingredients to add more texture, flavor, and color and then topped it off with a lime vinaigrette dressing. This quinoa salad would be great to eat as a side dish at a summer party, but it also works well just on its own for lunches! Put the water into a medium-sized pot. Stir in the salt and quinoa. Bring the water to a boil. Cover and continue to simmer until the quinoa has absorbed all of the water and is cooked (about 10-15 minutes). Remove from the heat and fluff with a fork. Transfer the quinoa into a large bowl or container. Let cool. Stir in the onion, corn, black beans, tomatoes, avocado, jalapeño, and the cilantro. 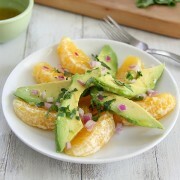 In a small bowl, whisk together the lime juice and olive oil. Pour the dressing over the salad. Season with salt to taste and serve. I LOVE LOVE LOVE quinoa! Great recipe!! Sounds delicious and healthy. Reminds me of the rice bowl at Chipoltle’s. Your salad is so me! I love black beans and like you I could probably put them in anything! Awesome salad!!! It took me a while to enjoy the texture of quinoa but now I eat as much as possible. Any new recipe is a must try. Love that this one is tex-mex…another favorite of mine. Yesssss–these are some of my favorite flavors!! Looks amazing! You had me at tex mex. :) I love anything “southwestern style” – I used to work at Chili’s and loved every darn near thing on the menu. Anyway, I love quinoa and need to make this sometime! Mexican is my very favorite cuisine. This quinoa salad looks killer! I’ve only had quinoa for breakfast. I’m so digging this tex-mex spin! Yours is the second quinoa salad I’ve seen this morning! LOVE all your add-ins…simply scrumptious! Such a tasty, nutritious and colorful salad! This looks amazing, Steph! 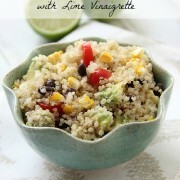 Ohhhh what a delicious summery quinoa salad recipe! I love your easy lime vinaigrette! It gives me extra appetite thinking about it. Having just returned from Texas, I can honestly say I have Tex Mex on the mind like CRAY-CRAY. This salad looks so badass for a summer day! This is great. I’m semi-obsessed with quinoa these days and am always on the lookout for new recipe ideas for it.